Cargo transfer between flights increase your risk for cargo damage during the transfer handling. It also increases the risk of delays at the point of transfer. you can be prevent this by making sure your forwarder only uses direct flights for the air transport of your cargo. Make sure your shipper provides you with the (correct) Air Waybill. The air waybill is the most important document issued by a carrier. It covers transport of cargo from airport to airport. It may contain the conditions of contract for carriage. It’s evidence of receipt of your cargo and may be used as a freight bill or certificate of insurance. Did we mention the importance for customs declaration? 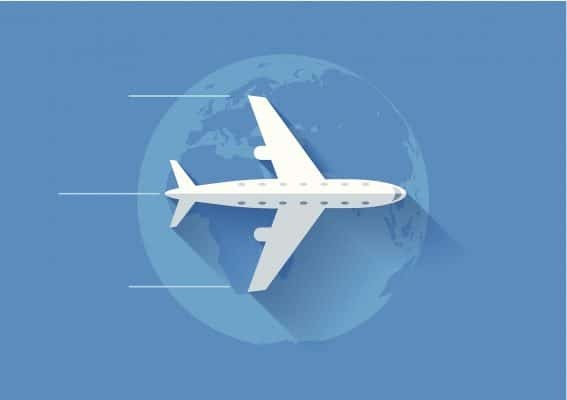 In a nutshell, your Air Waybill is key to a structured administration process when flying cargo, but every shipment can be different in the way the Air Waybill is applied. Make sure your forwarder provides you with this know how. Let your air transport be delivered directly to your customers. It saves valuable time and your customer does not have check the shipment daily to see when action is required. It’s a fact that to door deliveries help reduce delays and costs. When goods are transported by air, keep a good eye on how its packed and transported. Espassially when it contains Dangerous Goods. Work with partners that are IATA certified. So next time you prepare, process, accept or handle a shipment, please ensure youself that your partner knows what they do. I know what you think, pricing should always be sharp. That’s completely true! But in many ways you can be fooled by long quotations with hidden costs. Ask for a price per kilogram and be aware that all airlines work with chargeable weight. This is calculated from a combination of the weight and size of a shipment. So your weight may can be very different from the weight that is charged in the end. A good partner will inform you and can calculated the chargeable weight upfront. Furthermore, have your partner include all international fuel surcharges and do not accept the line: “subject to change”. You know when you want to transport and you can agree on a price! If you have any questions, remarks or if you want to add something, feel free to add your feedback below. We appreciate it, thanks.